The Oracle E-Business Suite Adapter is one of the most popular adapter in Oracle Integration Cloud Service. Oracle E-Business Suite is commonly used in most of the big organization and all they all want to communicate EBS with all the applications running in the organization. The Oracle E-Business Suite Adapter is one of many predefined adapters included with Oracle Integration Cloud Service allowing us to securely connect and use Oracle E-Business Suite services in integrations in Oracle Integration Cloud Service. The Oracle E-Business Suite Adapter supports outbound integrations with concurrent programs from Oracle Integration Cloud Service when adding the Oracle E-Business Suite Adapter as invoke (target) connections. 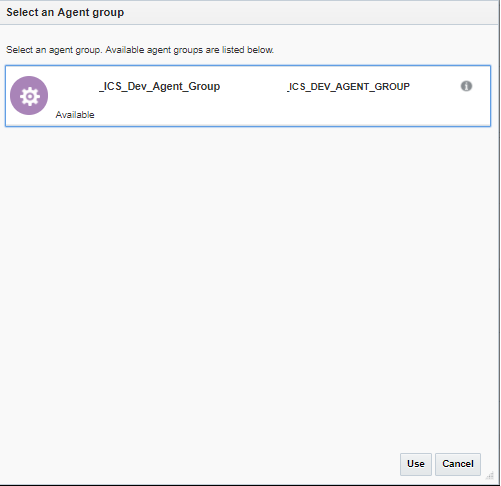 When Oracle E-Business Suite Adapter used as trigger (source) connections, business events are available for inbound integrations in Oracle Integration Cloud Service. 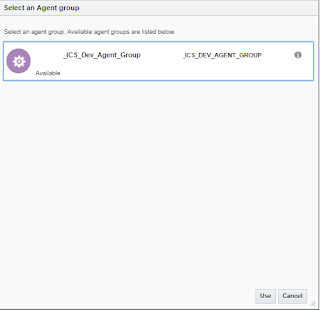 Similar to business events, XML Gateway messages are available for inbound integrations in Oracle Integration Cloud Service when adding the Oracle E-Business Suite Adapter as trigger (source) connections. In this article, we'll show how to create EBS connection in Oracle ICS with On-Premise E-Business Suite. Required ports should be open between ICS agent and EBS: This is required if EBS suite resides in organization premises. Let's consider we already have all pre-requisite in place, so let's move ahead and create a EBS connection. The identifier would be automatically picked up based on name entered however we can edit it. Select Role as Trigger and Invoke depending on the requirement. If everything goes fine, the progress bar will reach 100 %. Appreciate your work, very informative blog on Oracle E-Business Suite Adapter in Oracle Integration Cloud Service. I just wanted to share information about Oracle EBS Online Training. Just because you are working from home, does not mean that you should engage in any family responsibilities during the time that you are supposed to be working. You will not be successful if you do not put the time into running your business efficiently. No matter the self-motivation possessed by the owner of any business,https://mailchi.mp/cc08635ff53e/solopreneursguide moments arrive when it's almost impossible to apply this self-motivation.